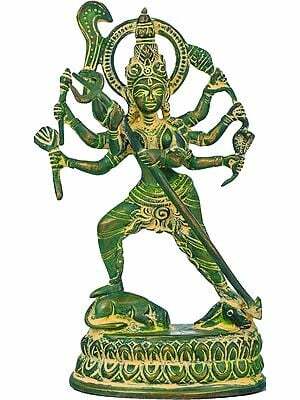 No finite number of limbs suffices for the most ferocious of the Indian pantheon. 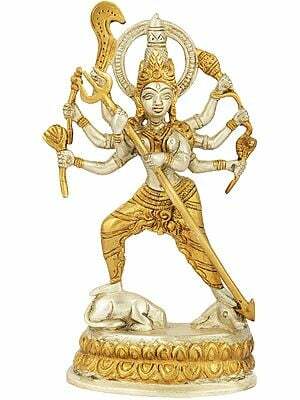 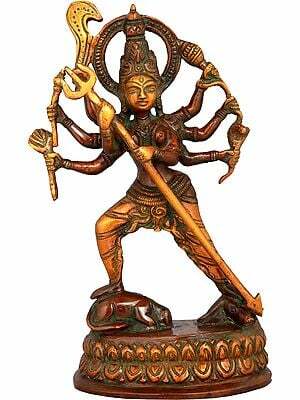 The Devi Durga's force is invincible; Her weapons to vanquish all traces of adharma, many. 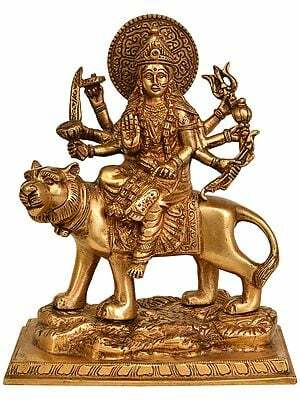 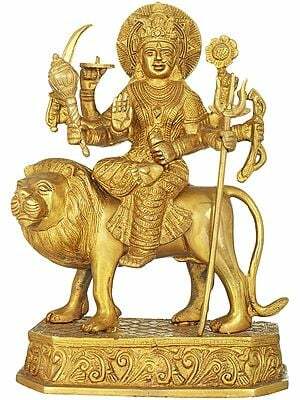 While devies of ihloka (the earth) and parloka (the latter realm ie the heavens) are born to serve their respective husbands, Ma-Durga was born to conquer the most demonic and lord of asuras Mahisasura. 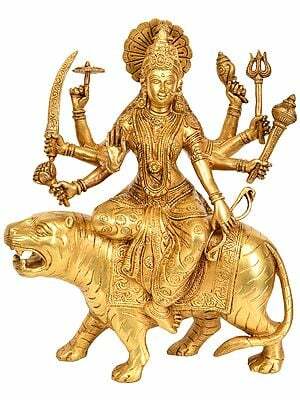 When most devies adorn themselves with gold and jewels befitting their status in society, the finest of weapons such as the trishool that towers over Her head and the numerous goads and swords in Her many hands are Her primary shringar. 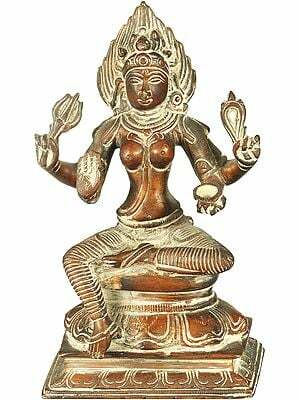 Despite Her widely venerated ferocity, Her beauteous form is not wasted on devoted artisans who try to capture Her in their art and sculpture. 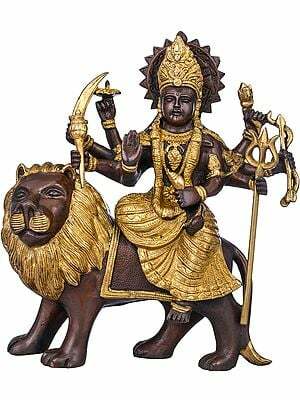 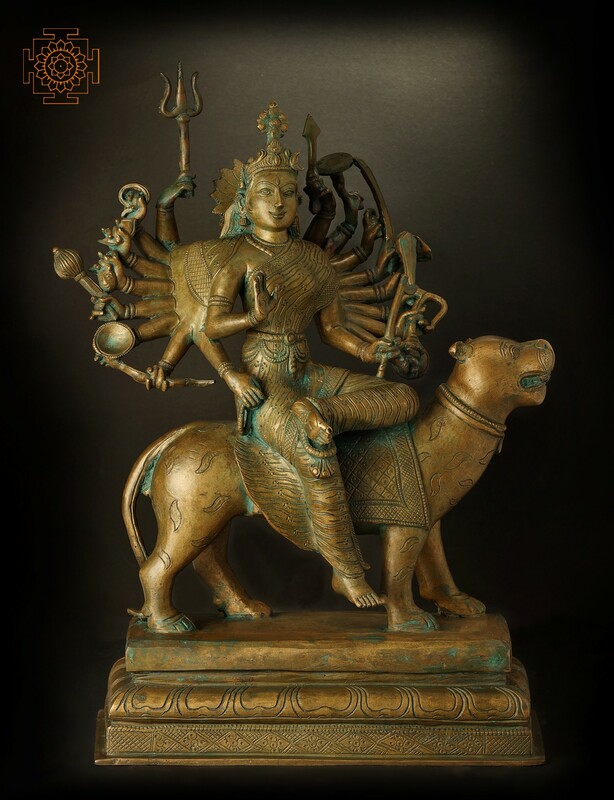 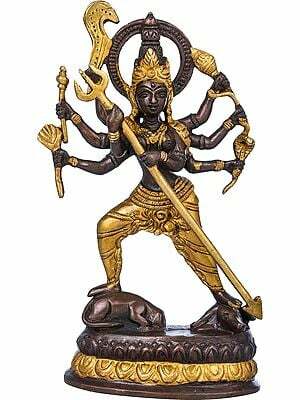 This fine bronze of the Devi Durga is an apt representation of this complex deity. 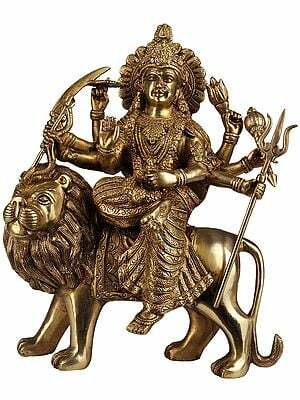 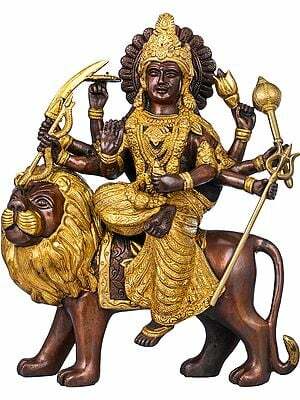 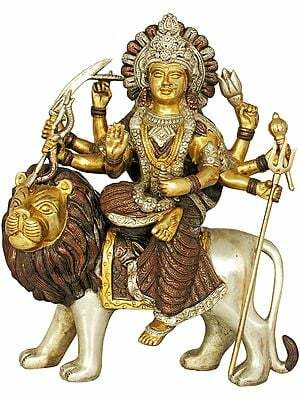 She has eighteen arms, each wielding a unique heavenly implement, and rides the lioness no less fierce than She is ('simha' in Sanskrit is lion; 'vahini', one who rides). 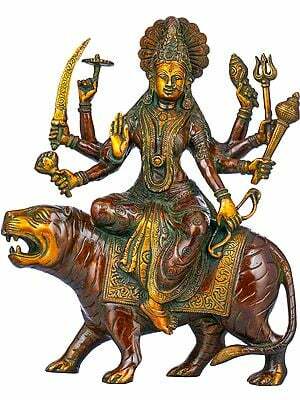 She is seated in lalitasana on Her back, Her stance unswerving, Her gaze determined. 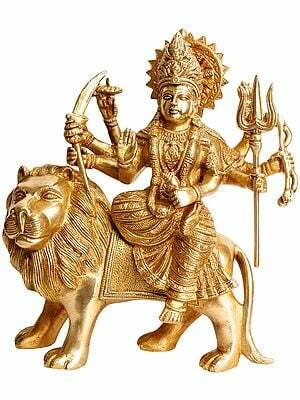 She is bedecked in a silken saree and ample golds that serve to bring out Her superlative beauty. 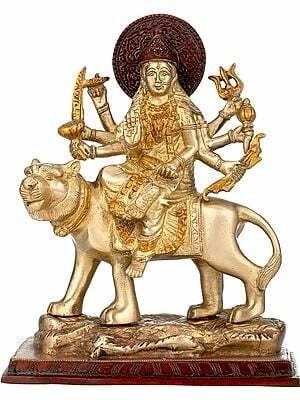 Her haloed countenance bears a composure of maternal affection, which goes with Her anterior-most hand raised in blessing. 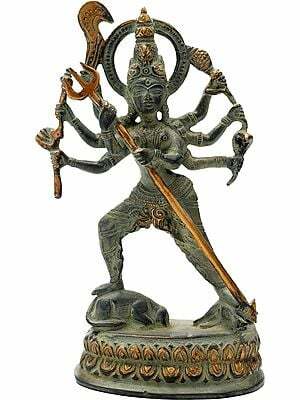 The features are carved in such lifelike detail as could be found only in Swamimalai, the home of bronze. 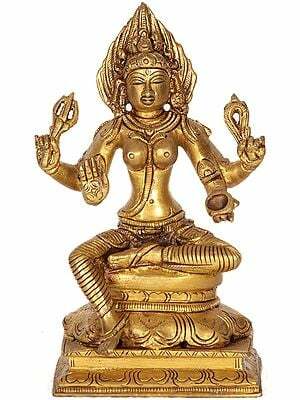 Together with Her vahana, She is placed on a sturdy tri-layered pedestal of relatively simple form.